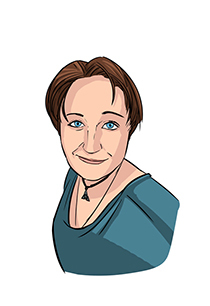 Home / Authors / Nicole Birdstone"
Nicole Birdstone has been writing short stories since she was a teenager, with roots in fan composition helping her develop the skill over the years. Ylva is her first foray into printed publication, though likely (hopefully!) not her last. Her day job in information technology keeps her busy in Houston, Texas, where she lives with two dogs, two cats, and two committed partners that make life worthwhile for her.